Great for sore throats, warm weather, a healthy snack! We had an unusually warm, hot actually, March this year. The weather broke all kinds of records and we loved the taste of summer that came during spring. It meant a couple of things for us though: First it meant that springtime allergies kicked in early, so everyone started with sore throats and runny noses in March instead of April. Second, it meant that the daily “can we get ice cream” and “can we get frozen lemonade” questions started early as well. When I pick my kids up at school we drive by one of our city’s popular ice cream drive ups as well as past our favorite frozen lemonade stand. On occasion, on super hot summer days we’ll stop there after school as a treat, but I wasn’t really ready to start that in March. Not yet. It’s an expensive treat, one we don’t do too often. 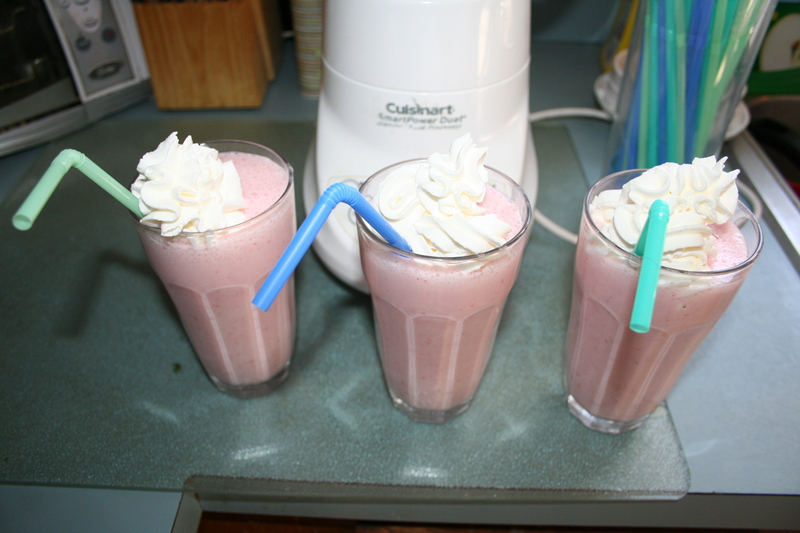 One particularly hot afternoon, as an answer to their pleas, I decided to make smoothies, something I often do as an after school snack, but not usually in March. On this particular afternoon though, I had fresh strawberries in my fridge, (frozen works well too) and I had bananas in my freezer, which I often use for banana bread, but they work well for smoothies too. I had some vanilla yogurt in my fridge, so I felt I could easily pull off some smoothies for an after school snack. A blender doesn't have to be expensive to make a delicious treat! 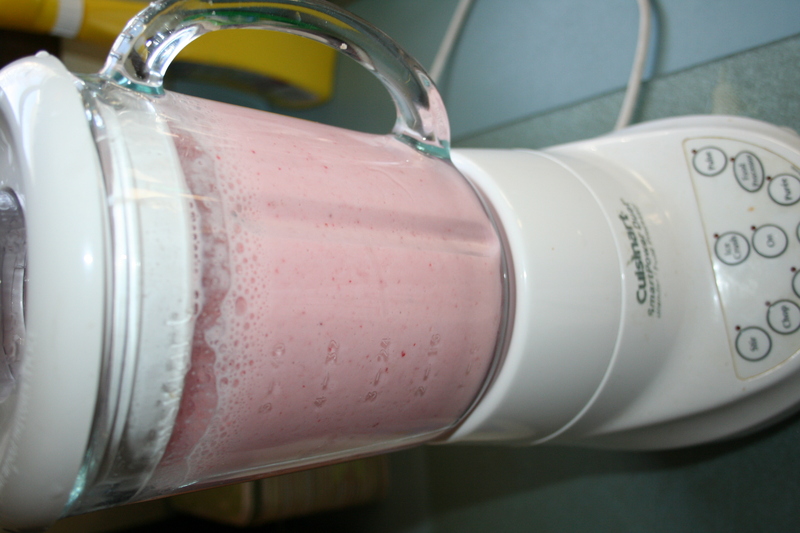 My “recipe” isn’t exact, but into my blender I threw: a bunch of strawberries, two frozen bananas, milk, about a cup of vanilla yogurt, and some ice to make it have a frozen feel, like a milkshake, but healthier. I added a dollop of whipped cream and a straw and I had a restaurant-quality summer beverage for my kids for after school. Not bad! Everyone was happy and I was glad there was even enough for me to have some!